A new submarine eruption started at the shallow submarine volcano off Tongatapu island in the Tonga archipelago. Satellite images from 28 Dec already show a plume of discolored water, not visible on images of 18 Dec, suggesting the activity started during this interval. 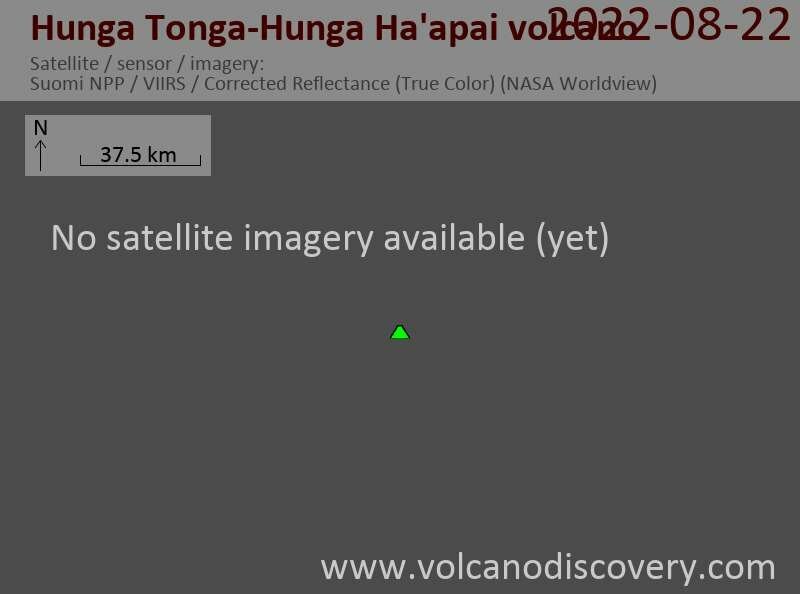 From available pictures on social media, a water and possibly ash-containing plume is visible from a distance, which indicates that the eruption has by now breached the surface. 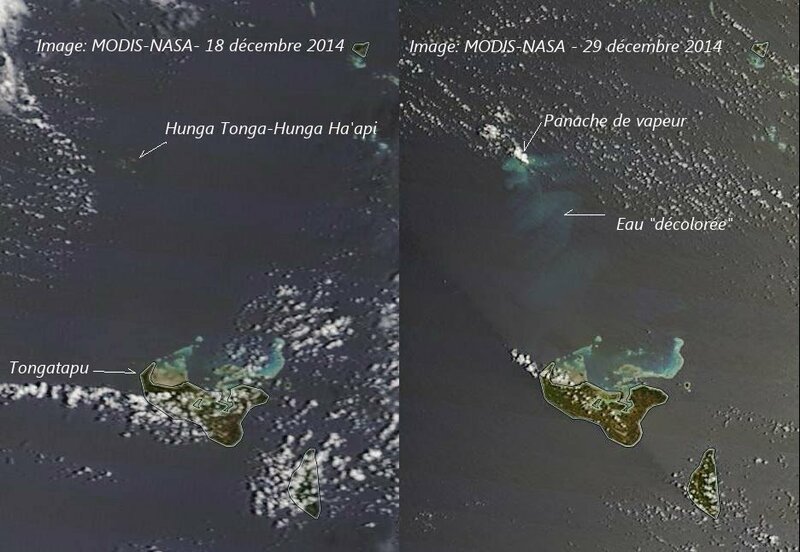 Whether or not it will lead to the formation of a temporary or even permanent new island remains to be seen in 2015.